Like the amazing Miss Stephanie did in December, I (Lauren) have had the pleasure of serving as EAD Designs guest designer for the entire month of February, and i have to tell you, it's about as much fun as a crafty girl can have, so be sure to check out their monthly color challenge (hosted by your fellow belle Amy Tsuruta) if you'd like a chance at this amazing honor. In the meantime, since we are both *huge* EAD fans, and since we had such a great time with them last year, Stef and I asked Miss Emily if we could team up again and were thrilled when she said, "YES"! not only did she let Stef and me loose in the EAD Designs Shop to choose some fabulous Christmas goodies, she sent along the fabulous EAD Design Team to help us, AND she's providing an amazingly generous $25 gift card to one lucky BELLE who links up with us! Please join us in THANKING and WELCOMING our lovely sponsor EAD Designs!!! E.A.D DESIGNS is a family owned and operated business. Emily Nelson (owner and illustrator) started E.A.D DESIGNS in 2002, and in a few short years has grown into one of the largest retailers/wholesalers for Vinyl Lettering and Wall Art. They started their scrapbooking rub-on line in 2009, and in 2010 started offering their amazing Stickerz. They also work very hard on creating custom designs for customers who are looking for something unique. Their Design Team is a fablous bunch of very talented ladies handpicked to inspire their customers with creative new ways of using their products, which are made with high quality vinyl in the USA! E.A.D. DESIGNS take pride in offering the newest and original designs on the market. And now without further ado, let's see some amazing eye candy from the uber-talented EAD Design Team! needs NO introduction in these parts, but did you know that in addition to designing for EAD and running her very own challenge site, Flashback Friday, Amy is on design teams at Paper Issues, LESSology and The Craft's Meow? With regard to designing projects Amy says, "I definitely gravitate towards fun colors! I'm a big fan of non-traditional cards like today's "warm wishes" card. P.S. I'm huge lover of coffee too!!" 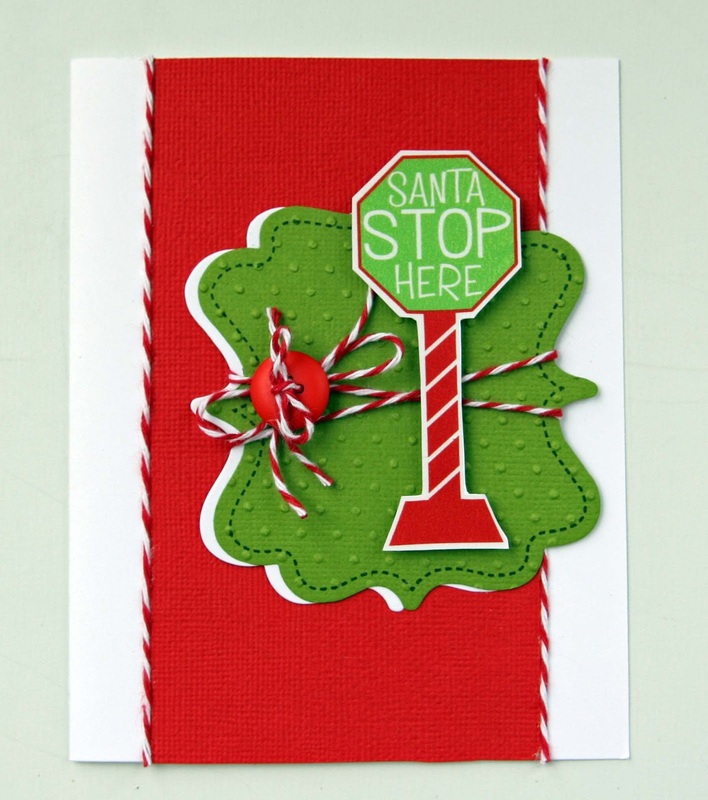 Her unique and fabulous card uses EAD's Coffee Shop stickerz, Feathered Friends Stickerz and Christmas Sentiments rub-ons. made this astonishingly cool "clean and simple" card using EAD's gorgeous Celebrate the Season Stickerz. Jessica is also on the design team at The Cutting Cafe and shared a secret we can relate to about deadlines, "I try really hard to get ahead on DT projects...and always end up changing my mind and design at the last minute... guess I work better under pressure LOL!" We wondered about her cool blog name; well, it seems that whereas most people have dogs and cats and fish, Jessica's family have fish but also 10 chickens!!! "They are our pets" she says, "and will come running when we are outside and love to be petted and carried around! We are looking to add 25 more birds in the spring....talk about a full Hen House!" is, in addition to her EAD Designs role, the Design Team Coordinator for The Twinery and The Craft's Meow as well as the creator of The Play Date Cafe & CAS-ual Fridays Challenge. Julie shares a few "fun facts" about her life, "I imported my husband from the UK. He is 8 years my junior and we're both grandparents to 4 amazing grandsons ranging in ages 9 years to 6 months. I love the color orange and anything in miniature. I collect in-flight magazines and am a student of all things Provence." 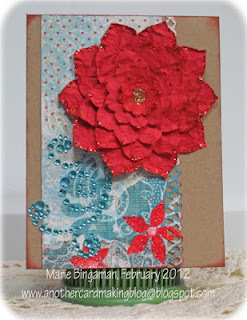 Her wonderfully textural and elegant card uses EAD's Deck the Hall stickerz. splits her design team duties between EAD Designs and My Creative Time. Her gloriously merry and bright study in red and green takes both its beautiful palette and its amazing graphic "pop" from EAD's awesome Deck the Halls stickerz. Liz shares this about her creative process, "I create better alone, but NEED the social aspect of crops!" also designs for Imaginisce, My Scrapbook Nook, Paper Issues, I Heart Ippity, Vintage Street Market as well as EAD Designs; and has been a Guest Designer for Little Yellow Bicycle and The Kraft Outlet. We were excited to learn that Shellye loves Christmas music as much as we do! "One thing that kinda drives my family crazy is that I start listening to Christmas music around July... that's five whole months of falalalala! I love it!" Her uber-fabulous card uses EAD's Holiday Owls stickerz. 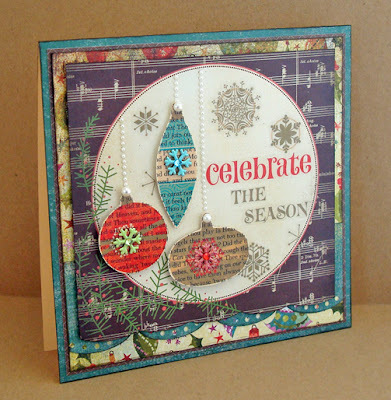 Lauren says, "I chose EAD's gorgeous Celebrate the Season Stickerz 100% because my fellow belle and EAD DT member Miss Rose used them to rock this amazing card a couple of weeks ago! I had planned to CASE it, actually, but for some reason I can never quiiiiiiiite pull that off, there is always some little change I make that leads to some other little (or big!) change... well, let's just call this card a "kissin' cousin" to the inspiration piece, ok?! 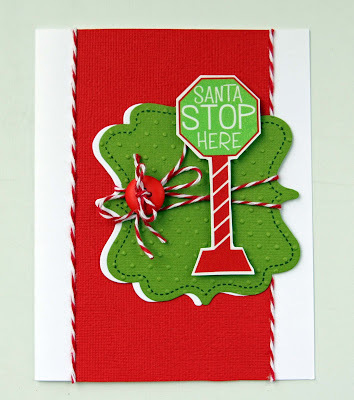 :)"
Stef says, "EAD Designs Christmas Block Stickerz were perfect for this CardPatterns Sketch because they're repositionable ... it allowed me to move them several times to get everything lined-up exactly ... and the Christmas Sentiment rub-on coordinated perfectly (their rub-ons come in lots of wonderful colors)." And now it's time to see what ♥YOU♥ will do for "Stuck on You"! Break out your favorite stickers, your most beloved rub-ons, or some of each... and get creative! Link up here between now and 6pm (EST) on Wednesday, March 7th, for a chance (by random draw) at that awesome $25 gift card to the EAD Designs Shop!!! Keyword for our flickr group and galleries is JB12-05. she also made two more awesome cards here & here. created the perfect elegant frame ... magical. 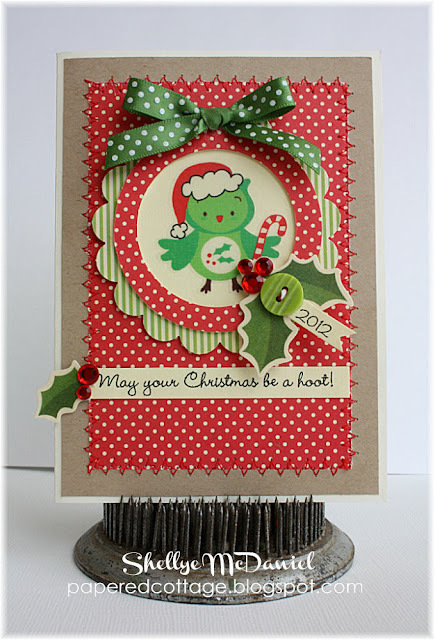 You can see Lorraine's adorable button wreath card here. A huge thank you to *EVERYONE* who played along with us this week. If you've not done so yet we strongly encourage you to scroll down to the thumbnails post and spend a bit of time seeing your fellow ♥JINGLE BELLES♥ in action! then come on back at midnight when the NEW prompt goes live! We'll have lots of lovely guest stars & a super sponsor to inspire our creativity. We're still playing with buttons (or eyelets or brads) at Jingle Belles this week. You have until Wednesday, February 22nd at 6pm EST to link-up your cards in the post below this one. Here's the second set of holiday cards that we created. Lauren says, "these doodlebug christmas buttons are older than at least one of my nieces, and had never even been opened! it's not that i don't ♥LOVE♥ them, i'm just slightly "button impaired" i guess, lol! this prompt was just the push i needed to break those out and use them on a card, and i am pretty pleased with the result!" Stef says, "I decided to go a bit more minimal and elegant with my design this week. to add a copper brad for a bit of dimension and texture. 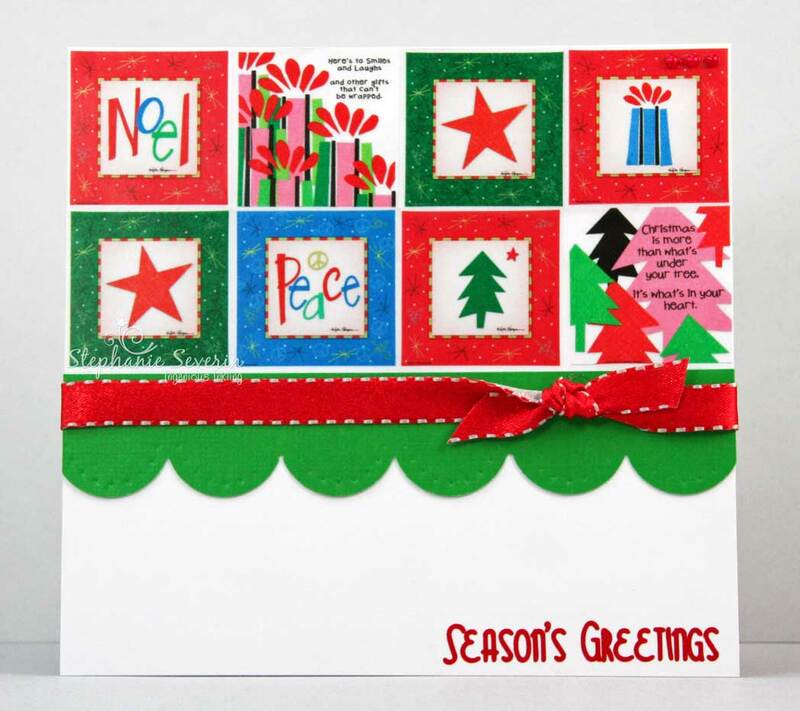 my border with dimensional tape, and a quick & easy holiday card was done." We decided that in the midst of winter (at least where Lauren & I are) was a good time get "All Buttoned-Up" for the holidays. 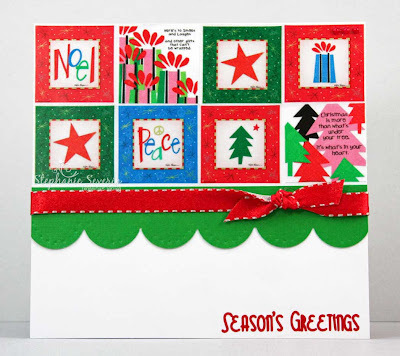 We're asking you to incorporate buttons (or brads or eyelets) into your holiday card design. Here's what we did to get All Buttoned-Up. 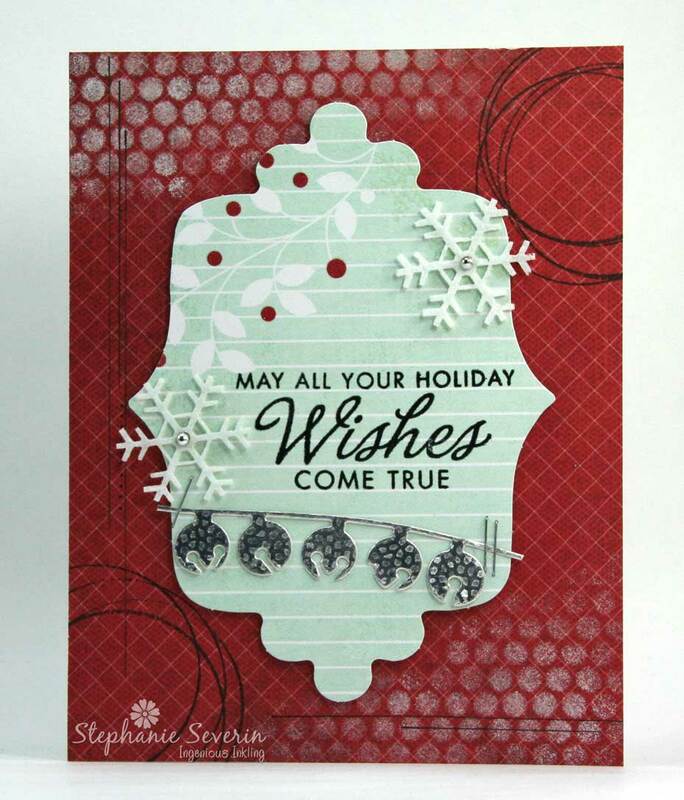 Stef says, "The inspiration for my card was this lovely button tree by Shari Carroll. I fully intended to back clear buttons with designer paper like she did ... but then managed to somehow *misplace* my entire clear button stash ... so I did what any good creative soul does ... improvise. I used a package of Fancy Pants buttons that were on my craft table and added blue & champagne pearls to complete my tree. Background & sentiment stamps are Hero Arts." So pull out those buttons, brads & eyelets and show us how you Get Buttoned-Up for the holidays. If you're worried about mailing "lumpy"cards, eyelets would be the way to go ... and we know you've got a big stash of them somewhere (at least WE do). Another option is to do what Lauren & I do ... mail the lumpy cards inside boxes with gifts. You have until Wednesday, February 22nd at 6pm (EST) to link up your creation ... keyword for galleries or our flickr group is JB12-04. was inspired by the inky snowflakes and sparkly bling of our header in her gloriously minimalist card! 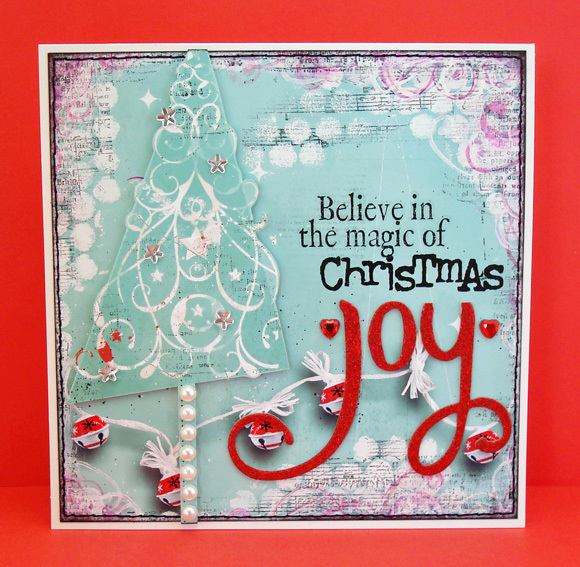 rocked our color palette in a big way with this adorable stamped and layered masterpiece! incorporated sparkly swirls, red glitter, and just enough glamorous grunge to make us swoon! if you have not yet perused the gallery, please do your card-makin' mojo the tremendous favor of scrolling down without further ado... then cruise right on back here at midnight for another dose of holiday inspiration! stamping with the bottom of my diet soda can. Lauren says, "ok, you might be tempted to call this cheating, because this time i incorporated products from the same digital kit i used on our blog header: anna aspnes' retro holiday art play palette! on the other hand, the reason i bought that kit--and used it on the banner-- because i ♥LOVE♥ it; and the whole point of digi is that you can use it again and again, right? this time i added the "jingle bells" element to a patterned paper with a gorgeous swirly tree on it, and printed two copies so that i could layer the second tree on foam tape for extra dimension. then i went totally NUTS with real life stencils and stamps similar to the digi ones in the kit, finally i added some rub-ons and red glitter chipboard letters to form my sentiment."